Preamble: This foreword was written in early March 2011 for the book Rags to Riches (Colombo, Godage, 2011) launched by the Island newspaper, with Kumar Sangakkara as Keynote Speaker, later that month. The book reproduced a series of Q and A interviews serialised by the Island in the lead-up to the World Cup. This is an invaluable collection of memoirs and called for a prodiguous amount of work by Clementine. The book can be purchased by credit card from http://www.vijithayapa.com and at both Godage and Yapa bookshops. In fashioning essays on Sri Lanka’s cricket history during the last decade I have often elicited information as well as opinions from individuals who were at the centre of significant episodes. This is standard methodology for journalistic reportage. In effect, we are all indulging in a form of oral history. Its resonances were brought home to me recently by Kumari Jayawardena’s enthusiastic reaction to the recorded interview with her father A. P. de Zoysa in 1967 that was a product of the Roberts Oral History Project, 1965-1969. Though her enthusiasm was partly conditioned by the impact of her father’s voice coming alive once again, Kumari was also intrigued by specific pieces of information provided by A. P. de Zoysa with reference to his electoral candidature for Colombo South in the 1936 general elections. So, we are speaking here of empirical detail that may have otherwise disappeared into the dust-heap of lost history if I had not embarked on such a venture with the assistance of the Asia Foundation and the approval of Professor Karl Goonewardena. Read the rest of this entry ? Incursions and Excursions in and around Sri Lankan Cricket is a new book that runs to 176 pages plus 32 pages of photographs that are not paginated, but numbered, in a cluster in the middle. The book is available at Vijitha Yapa Publications who also have a credit card system which runs efficiently – www.vijithayapa.com. 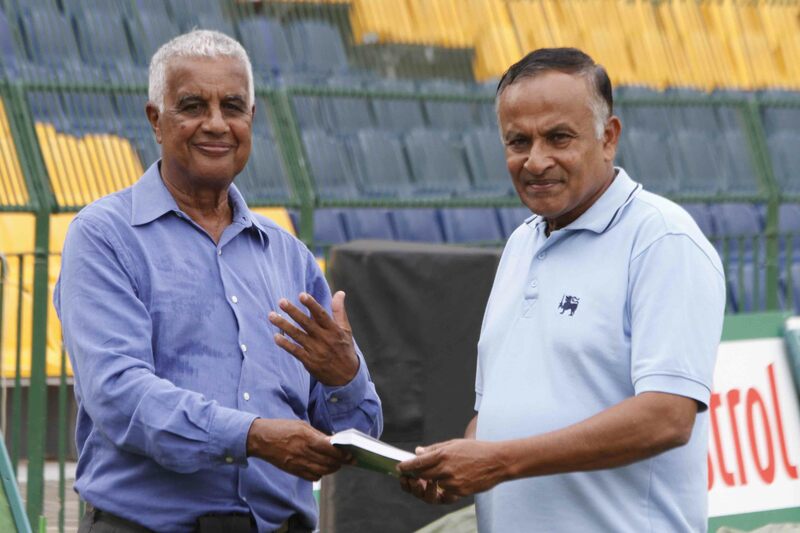 In a symbolic gesture of a token character Michael Roberts presents a copy of Incursions and Excursions in and around Sri Lankan Cricket to the Sri Lankan cricket team through Anura Tennekoon, the Manager at present. 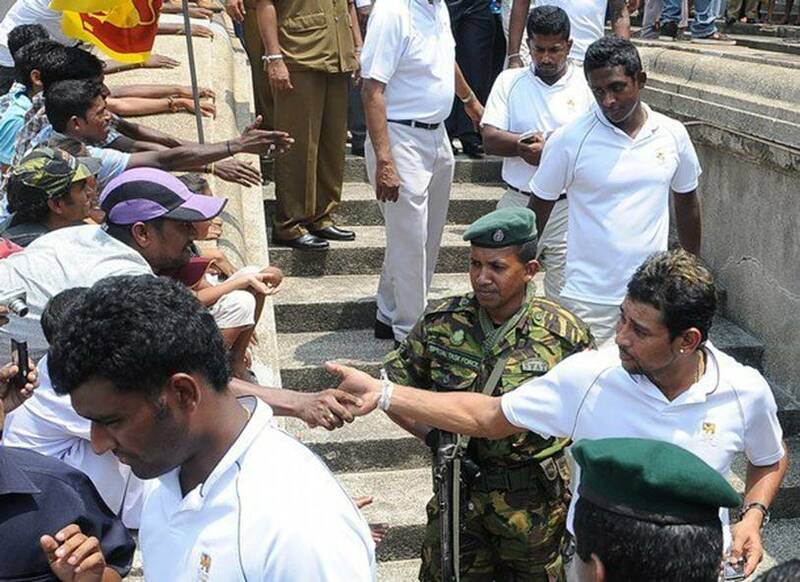 This gesture marks the author’s appreciation of the achievements secured by the various Sri Lankan squads in recent years and, most significantly, the measured and calm manner in which they responded to the terrorist attack in Lahore on 3rd March 2009, an event that is reviewed as Chapter VI in this book. 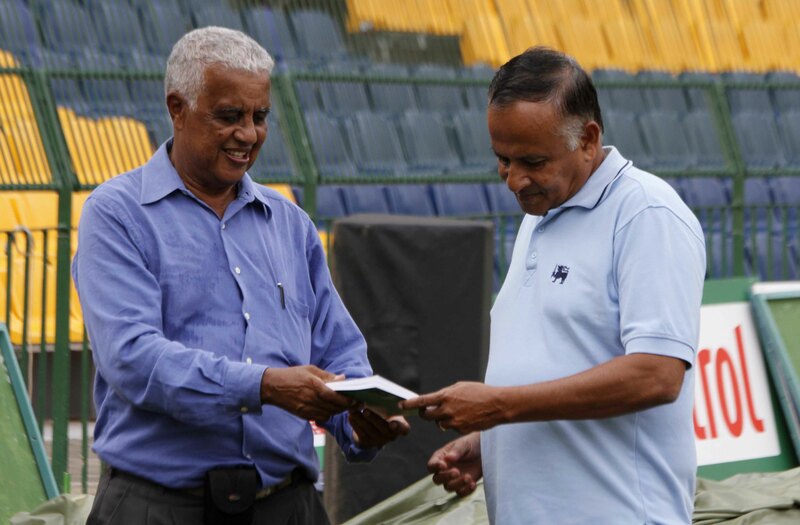 This presentation occurred at the Premadasa Stadium during the World Cup squad’s practice session. It was deliberately timed BEFORE the quarter-finals of the 2011 World Cup because the author holds that the plaudits that should be extended to the cricketers remain valid irrespective of the joys or sorrows attending the outcome of one game. 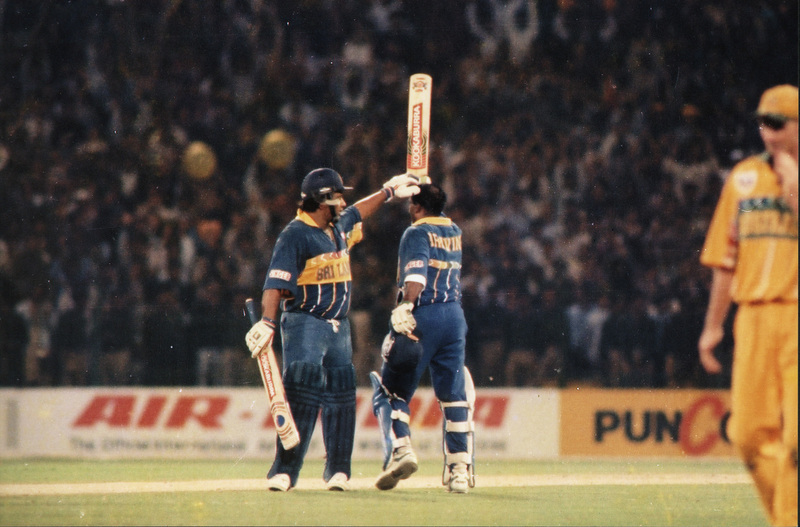 Sobers and Sathasivam greet each other –from Essaying Cricket by Roberts (2006, Colombo). West Indies legend Sir Garfield Sobers joined theWest Indiesplayers at their camp at the 3Ws Oval on Friday. 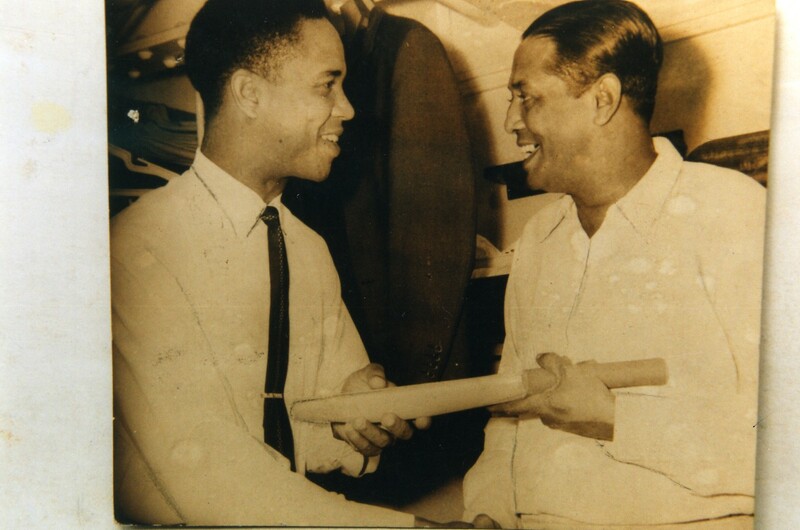 The greatest allrounder of all time was invited by Windies Head Coach Ottis Gibson and he accepted the invitation to discuss the game with the players and also to monitor the net session in the Garfield Sobers Indoor Centre. Sir Garfield shared his ideas on the game and also urged the players to believe in themselves and always remain focused on the job. He also shared his thoughts on the changing face of the modern game and told the players they have his full backing as they prepare to facePakistanin the upcoming Digicel Series. Team Manager Richie Richardson said it was a thrill to have Sir Garfield at the camp and said all the players were delighted to have the opportunity to interact with him. “It was tremendous to have a gentleman of the calibre of the great Sir Garfield Sobers to come and join us in our camp as we get ready for the Digicel Series. The Head Coach extended the invitation and Sir Garfield happily agreed to come and share some of his vast knowledge with our team,” said Richardson. Read the rest of this entry ? “… for me Paul Valthaty of Kings XI Punjab has been the surprise hero so far in this IPL edition. He is a cut above the rest,” Sangakarra in BBC nes item yesterday. Paul Valthaty’s Indian Premier League showing for King’s XI Punjab makes one wonder what stopped the selectors from picking him for Mumbai in first-class cricket An average Mumbai cricket lover knows the names of talented young cricketers in the city. Isn’t it an irony then that they ask ‘Paul who,’ after Paul Valthaty’s exploits in the Indian Premier League? It’s said a player has to have three Ds – dedication, devotion and discipline, ” but one may say he has to have three Ts ” talent, temperament and tenacity ” as well. What Valthaty possessed was alphabet T till a Bangladeshi bowler on an under-prepared pitch in Auckland hit his eye through the visor of his helmet in an Under-19 World Cup match in 2002. One could see a small hole in his right eyelid. He did start playing after eight months, but could sight the ball properly only two years later when he was 22! This article was written on Sunday night, 17 April, in response to a request from Saroj Pathirana of BBC Sandēsaya Service. 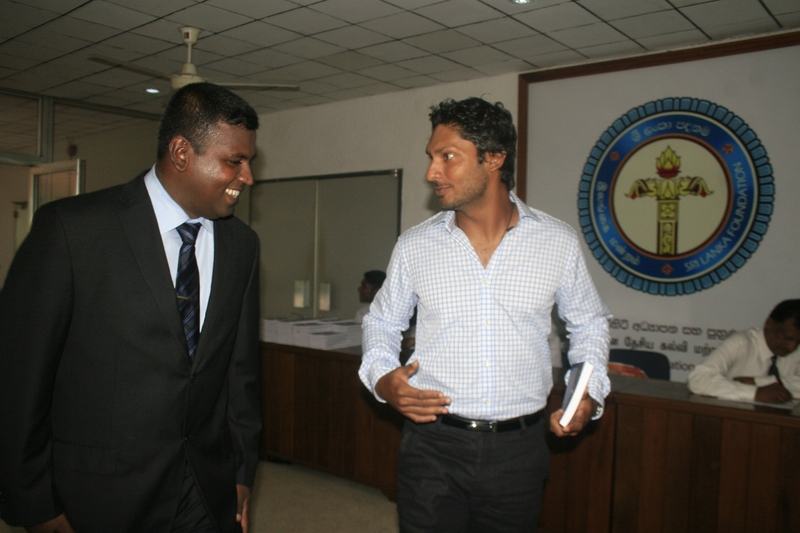 It was one step behind events because Dilshan has been appointed captain for all three formats. So the title has been altered and it is presented here because it provides fodder for reflection and comment. As Sri Lanka ruminates over the choice of its cricket captain for the heavy programme of matches scheduled over the next year or so, Tillakaratne Dilshan’s name features prominently. Dilshan (aged 34+) is a mercurial cricketer, lightening quick over the ground, a wonderful fielder in any position, a Genghis Khan of a batsman and a useful change bowler. He is a bloke I, if ever a Captain at this level, would yearn to have in my side. 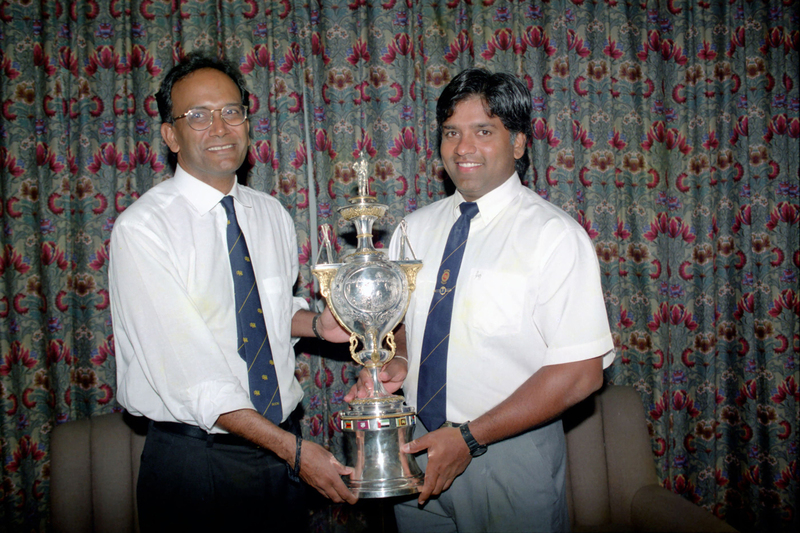 He has captained Sri Lanka in a series in Zimbabwe before, but it was precisely during that tour that questions arose about his off-field ethics. That is hardly a heritage to bring to such a high-profile position as Captain of Lanka. There is yet another reason, in my book, for keeping him in the side as Vital Senior Player and not as Captain. 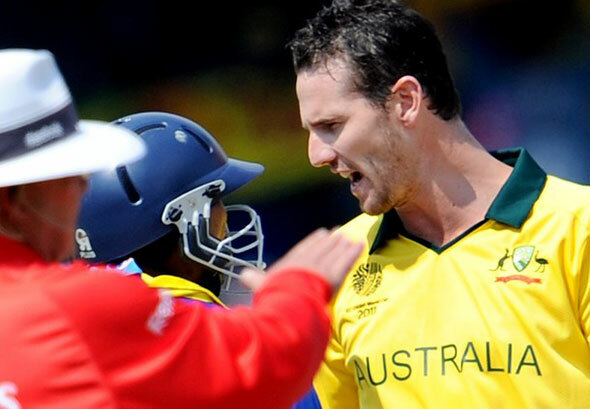 He will push the boundaries of cricketing sportsmanship to its limits and even beyond the limits. He is the nearest thing to the hard-nosed Australian in our cricketing scene. 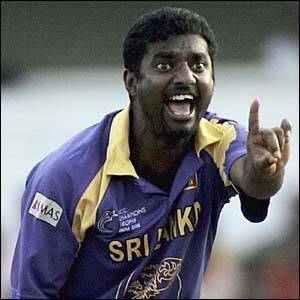 I do not want Sri Lanka to have an Australian Captain. We must retain the toughness girded by grace and moderation and fairness which Jayawardene and Sangakkara brought to their tenures. 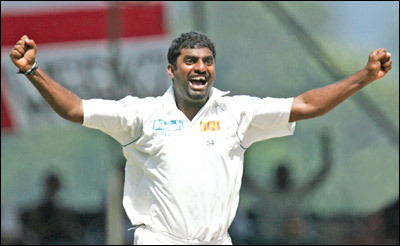 Lasith Malinga hails from Ratgama, a village locality in the southwest corner ofSri Lankawhich has a fearful reputation for toughness. Perhaps it is because he has been schooled in the give and take of this life, or maybe because he is just amiable Sri Lankan, Malinga smiles when a batsman thrashes him. What a pleasant contrast to the typical Aussie pacemen who snarl, stare or indulge in verbal intimidation when thus treated —- or even when they have kept the batsmen quiet. But Malinga is also atypical Lankan in his coiffeur and its showmanship. His hair-do is also quite a contrast from the looks he sported as a teenager. but there is room to argue that it is typical Sri Lankan too and typical Galle area native in its inspirations. The Galle District within which Ratgama lies is renowned for its coir industry. Coconuts are soaked in water-pits prior to their husking and conversion into fibre for use in a range of products. 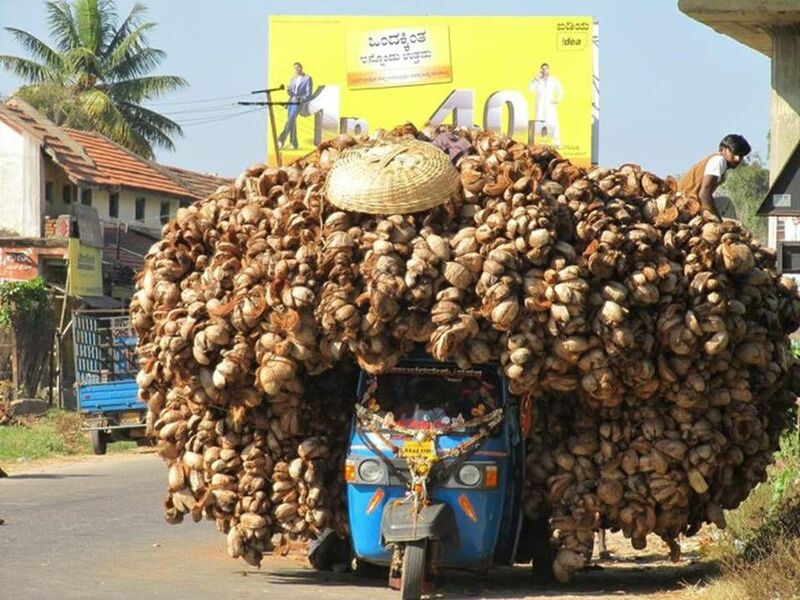 In an inspired surmise one Sri Lankan twigged that it was the coconut husk that promoted Malinga’s hairstyle. He sought proof. He found proof. So, voila, look at this native scene from the Galle area as visual proof. You are currently browsing the Critiquing Cricket blog archives for April, 2011.